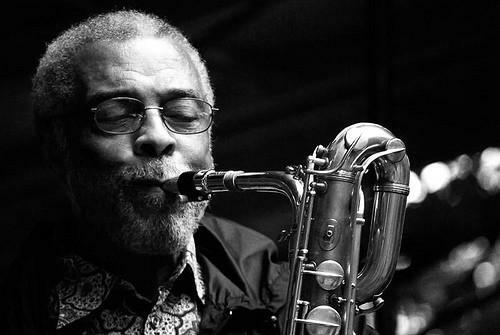 Baritone saxophonist Hamiet Bluiett died yesterday morning, 4 October, after a long illness. His grand daughter Anaya had previously raised funds towards his recovery via Fundraiser, explaining that he been hospitalised following numerous strokes and seizures. Hamiet Bluiett, born in East St. Louis, Brooklyn, Illinois, on 16 September 1940, played in the U.S. Navy band and then with Charles Mingus, Sam Rivers and many others in the late 1960s and early ‘70s. But it is as co-founder and long-time member of the World Saxophone Quartet that he will best be remembered.